More like a luxury getaway with mojitos and sunbathing. It's not your typical pirate ship with sword fights and pirates though. 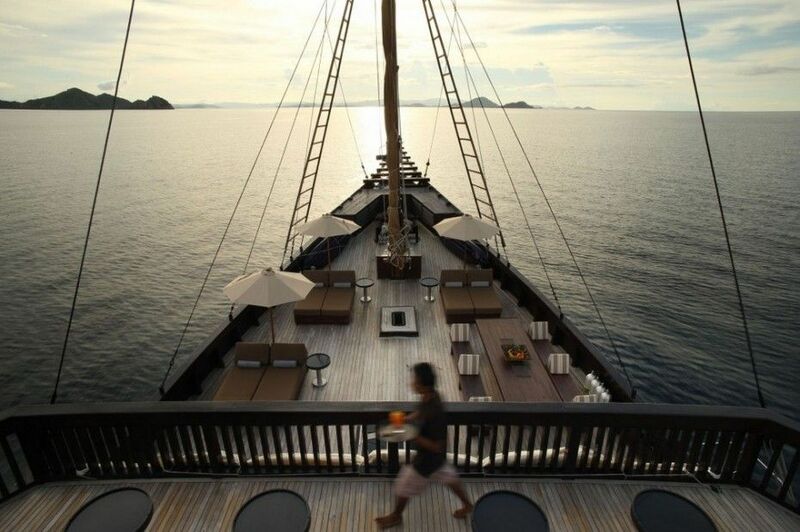 The wealthy couple from Jakarta that built this unique ship intended to take a two year voyage on it but ended up turning it over to the Alila Hotel group to sail the Indian Ocean. There is a crew of 16 that is at your service with icy facecloths and cocktails as you return from a day on the island of Komodo or just a spot of snorkelling in incredible turquoise ocean waters. There are 5 suites including the above master suite with incredible ocean views. Each room is unique with its own luxury decor. You can either dine inside the ship with panoramic view. Does this vacation sound appealing? Well you might need to find a Pirate's treasure first. A one week vacation on this ship will cost you about $1800 a night.